Looking for people, business or portfolio insights instead? 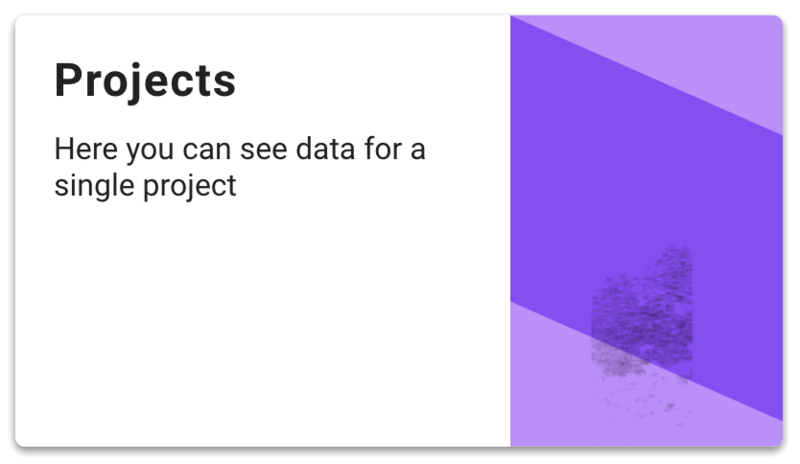 Project insights are used to create reports on a single project. Look through the list below, and put together a combination of components you see fit. 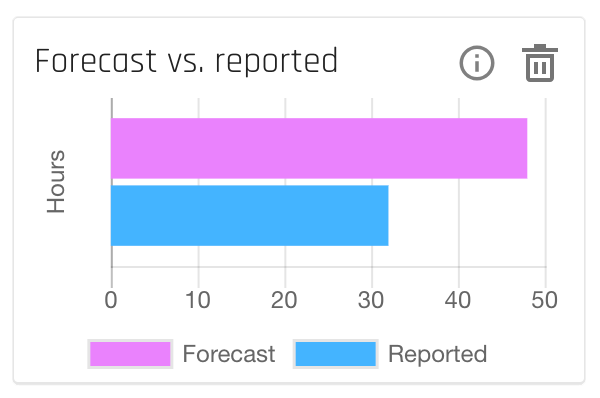 You can create as many reports as you'd like. List of financial data grouped by milestones or roles. 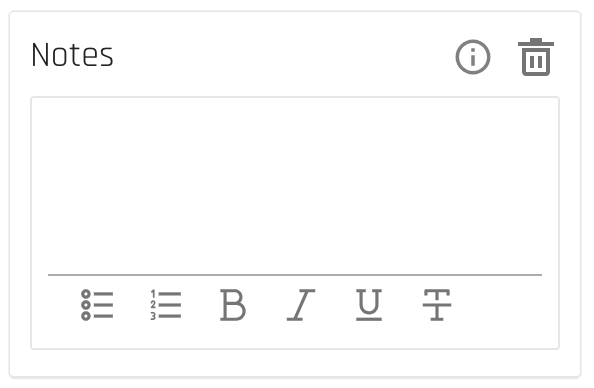 Select using the dropdown. 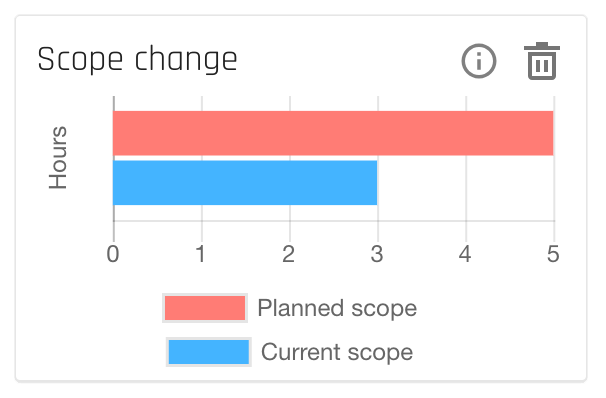 Chart showing project budget status over time. Select money or hours in the dropdown. List of cards expected to be delayed. This data is based on our AI-algorithms. If nothing is expected to be delayed the component will showcase that. Configurable list of card data, e.g. title, progress, time reported, and deadline. 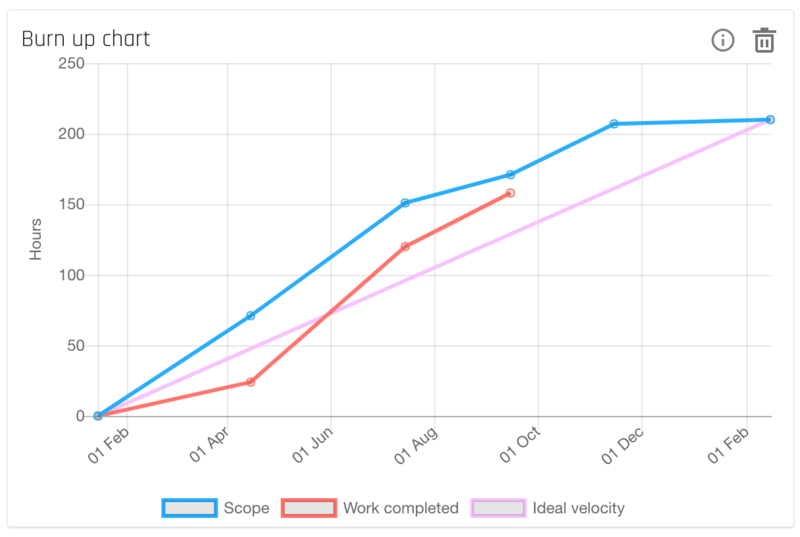 Diagram showing number of cards or forecast sum for project status columns over time. Notes field to use for commenting and providing information. 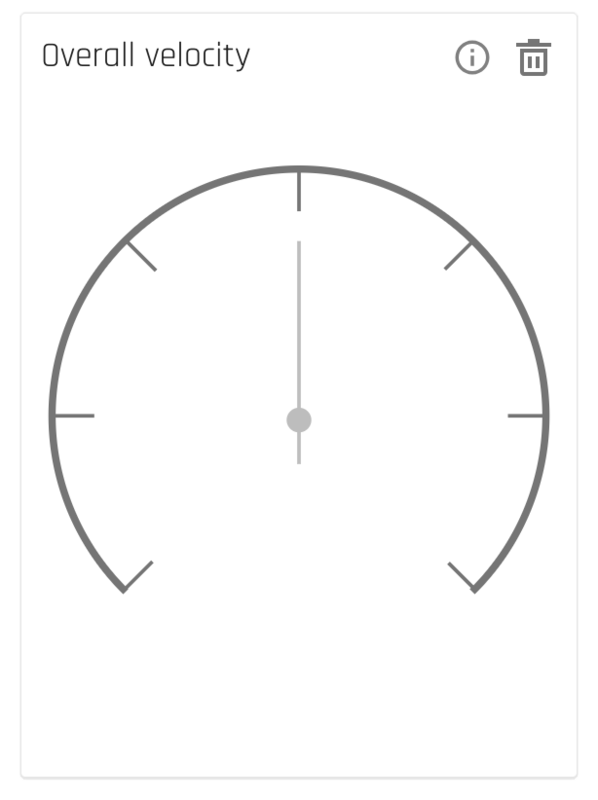 Gauge showing the overall velocity for the project. 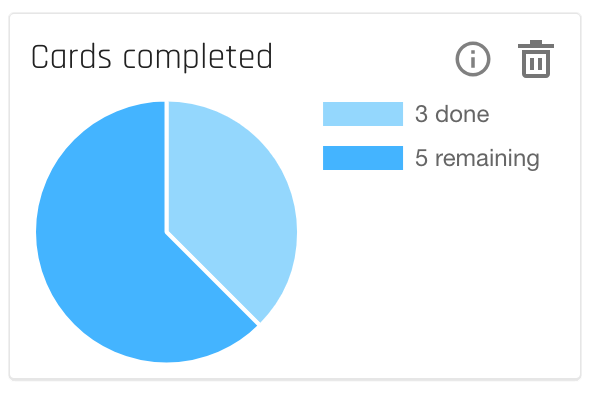 A low number means work is progressing slower than expected. High if working faster. Ideally it should be close to 1, which means that the work matches the estimates. 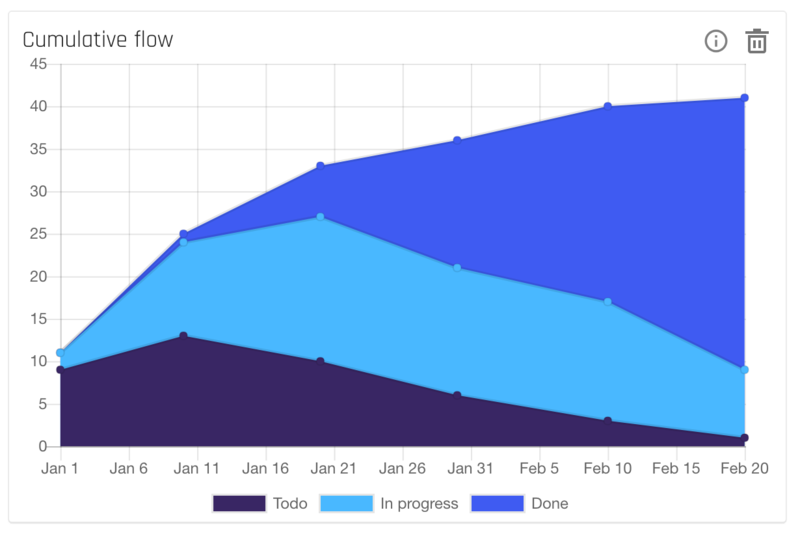 Component showing the timeline of the selected project. 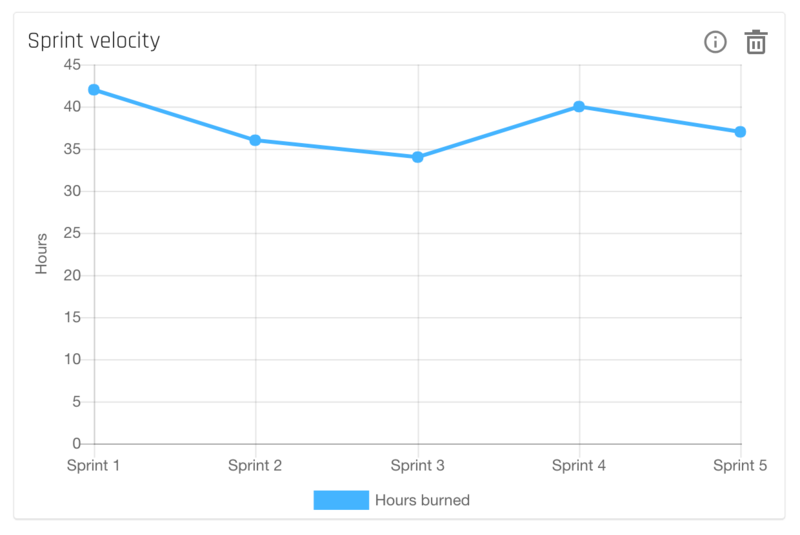 Configurable list of sprint data for individual projects, e.g. name, progress, remaining work. 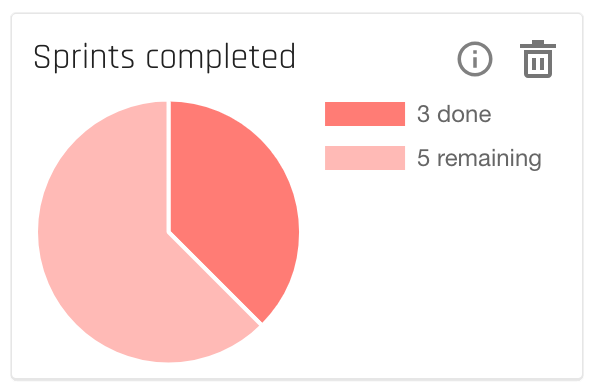 Pie chart showing number of sprints done and remaining.